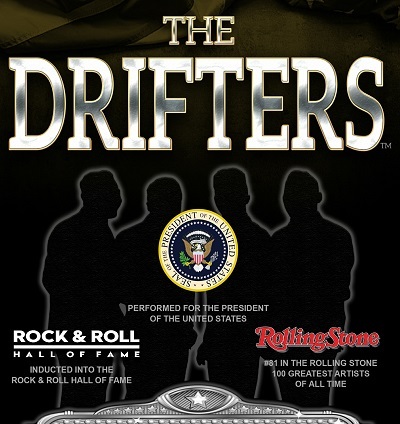 The Drifters are back on the road in the UK performing both the classic hits from the last six decades. There have been over 65 vocalists in the group’s incredible 59-year history and in this tour, the current line up pay homage to the former members of this line up, including icons such as Clyde McPhatter, Rudy Lewis, Ben E King, & Johnny Moore. Hits include ‘You’re ‘More Than A Number,’ ‘Come on Over to My Place’, ‘Up On The Roof,’ ‘Under the Boardwalk’, ‘Kissin In The Back Row’, ‘On Broadway,’ ‘Down On The Beach,’ ‘Hello Happiness’ ‘Save The Last Dance For Me’ and many more, this a night not to be missed.